Living Area 1704 Sq. 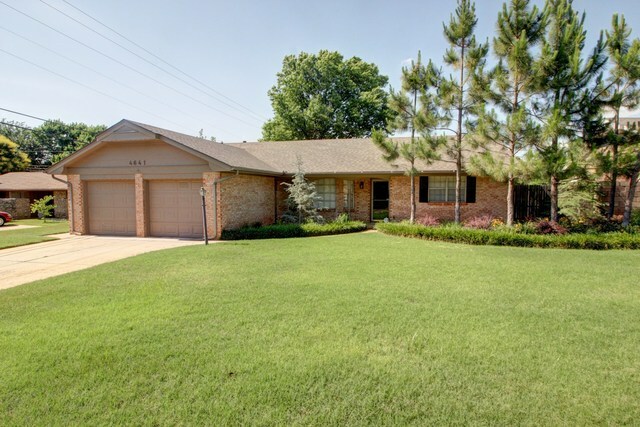 ft.
Beautiful updated home w/ gorgeous landscaping in Rollingwood neighborhood. Formal living & dining as you enter the home. Kitchen updates include granite counter tops, tile back splash, stainless dishwasher, & cabinet hardware. Family room has a brick wood burning fireplace & nice hardwood floors. Master suite w/ double closets & full bathroom. Spacious outdoor living area w/ covered & open patio space. Storage building as well in the backyard.